Low-fare airline Cebu Pacific (CEB) is adding frequencies to its Manila to Bacolod, Tacloban, Cotabato, and Dipolog services. 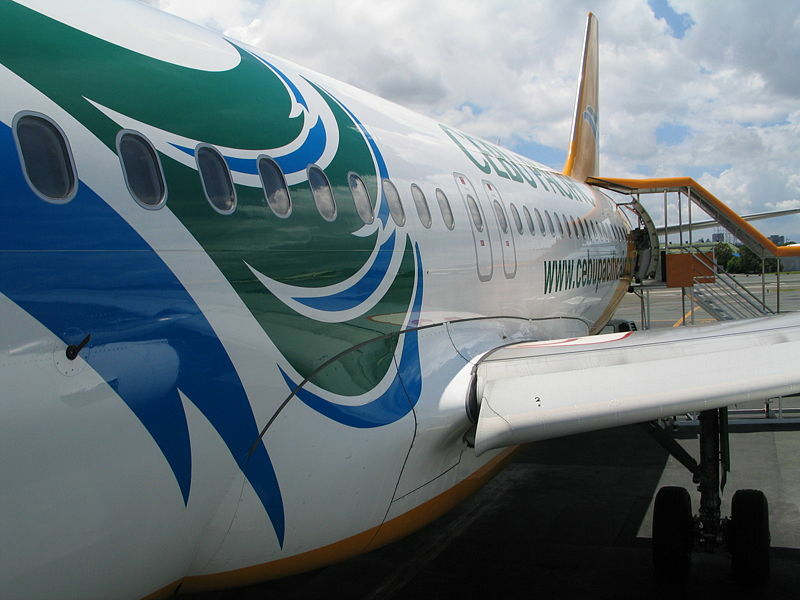 CEB will also expand its route network from Cebu with the launch of its direct Cebu-General Santos (GenSan) service starting August 15, 2008. The airline announces the additional frequencies and the Cebu-GenSan service opening with a seat sale which will run from July 24 to 29, 2008. This is valid for travel from August 15 to November 30, 2008. One-way fares to Bacolod, Tacloban and Cebu-GenSan is at P999 ‘all-in’, while fares to Cotabato and Dipolog is at P1,499 ‘all-in’. The three-times weekly Cebu-GenSan service will operate every Monday, Wednesday, and Friday. The flight departs from Cebu at 10:30am and arrives in GenSan at 11:30am. It leaves GenSan at 12:00nn and arrives back in Cebu at 1:10pm. CEB’s Manila-Bacolod service will grow from 21 to 24 flights weekly while its Manila-Tacloban service will increase from 21 to 25 flights weekly. Iyog said the carrier will also increase its operations to Cotabato from five-times weekly to daily while Manila-Dipolog will grow from four times to five times weekly. CEB opened the Ninoy Aquino International Airport (NAIA) 3 with the transfer of partial operations of CEB with a Caticlan-Boracay flight at 4am Tuesday. Iyog said four more flights followed in succession, using ATR 72 turbo-prop planes to Laoag, Naga, San Jose (Mindoro) and Tuguegarao. She said its other domestic flights will remain at the Manila Domestic Airport terminal and all its international flights will continue to operate at the NAIA Terminal I.
NAIA 3 has been mothballed since December 2002 and only came alive for at least a few hours to accommodate the international flight that included President Gloria Macapagal Arroyo when she arrived from the United States. With only less than two years left before she steps down, President Arroyo is hell-bent to finally put the terminal into productive use.